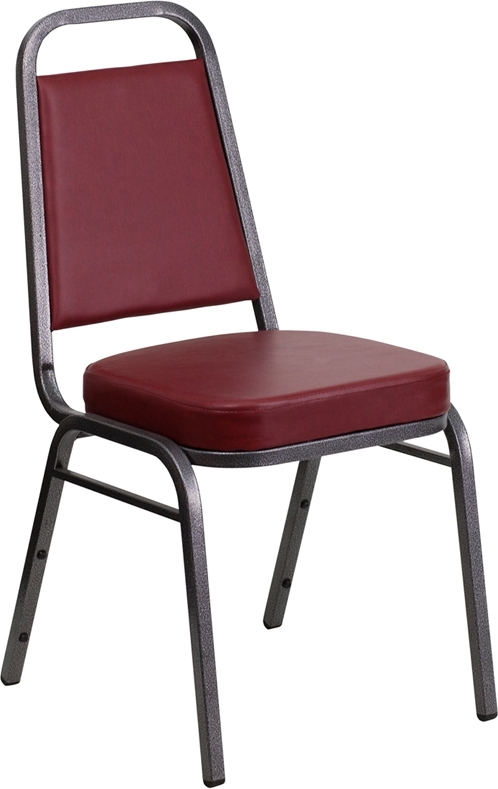 This chair features a durable burgundy vinyl seat and back, complimented with a silver-vein frame. This chair is very popular with pizza parlors. The burgundy matches a lot of the pizza color themes, while the vinyl is easy to clean. For restaurants, a popular combination with this chair is a black top table.